Jaime Fiffles is once again making his trek from Los Angeles to Lakeland FL to compete at Top Gun. 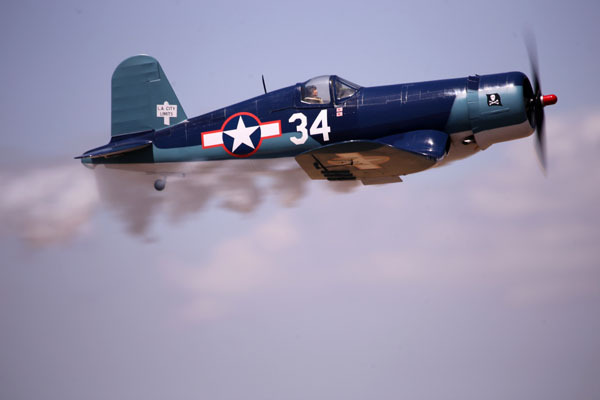 This year he will be flying in Expert with his 1/4-scale F4U Corsair which spans 122 inches. Scratch built from Don Smith plans Jaime’s aircraft is all wood, with detailed rivet and panel lines. 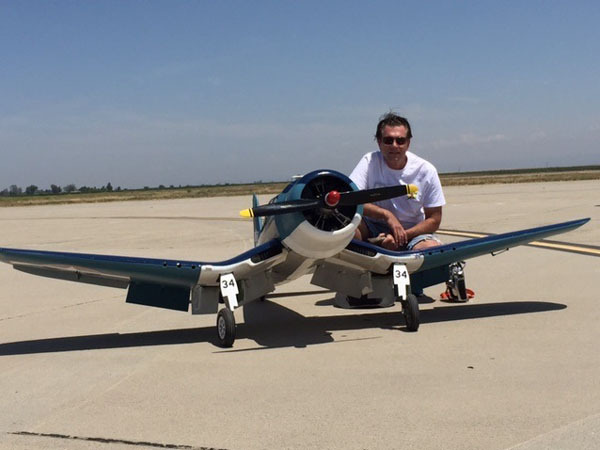 It is powered with a Moki 250cc radial engine and features a smoke system, landing lights, sequencing landing gear doors, and a fully detailed cockpit and pilot and a powered functional canopy. The Corsair is done up in the Chico Freeman’s “LA City Limits” paint scheme, from VF– 17 the Jolly Rogers in the fall of 1943. 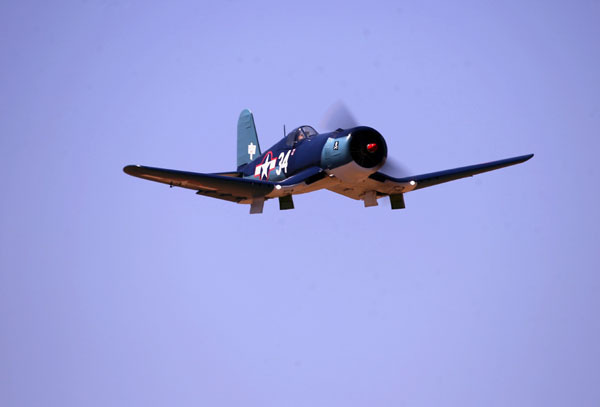 The Corsair has appeared at many West Coast events from Warbirds over the Rockies, to the Castle Air Force Base Giant Scale fly in, and all the Southern California events. 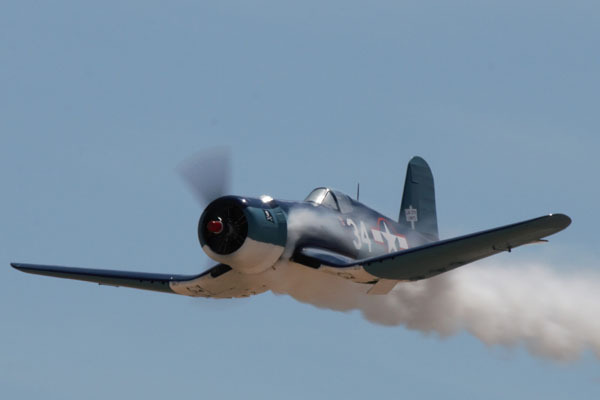 Nice F4U. 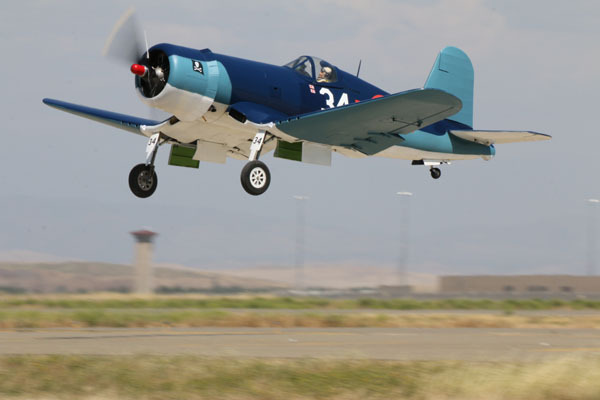 Hard to beat a Corsair! A bit larger (weight wise) than I care to handle. My limit is perhaps 100 inches. Love to see her fly though. Hope to build another Corsair one day – perhaps a Meister Scale. Good luck at Top Gun!